I do love a good Christmas product. 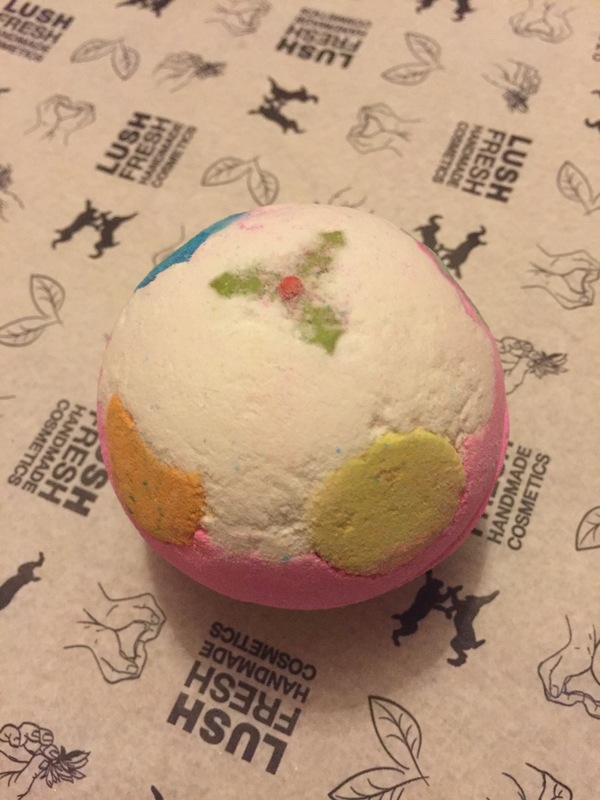 The luxury lush pud is exactly what the name says, it is a luxurious Christmas pudding themed bath bomb and is perfect for getting you in that Christmas spirit. 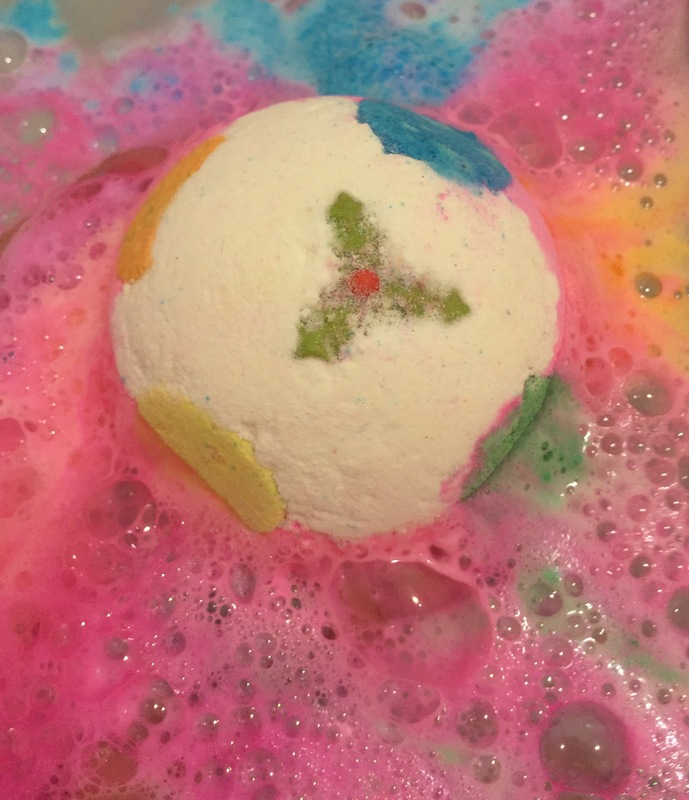 The luxury lush pud is a very nice large sized bath bomb, showcasing a bring pink and white design complete with multi coloured polka dots and even a very cute peice of holly on the top just like a little Christmas pudding. The smell of the luxury bath bomb isn’t quite what I was exspecting. Due to its bright pink colour, I was thinking of something very sweet and sugary. But instead I found that it smelt very similar to the much loved twilight scent. This is a very sophisticated lavander scent. I totally love how lush describe this product. “Catch 40 winks on Christmas Eve, with islands of sleepy foam and comforting lavander”. The luxury lush pud is the perfect product to relax and calm you and help you to get a great nights sleep. 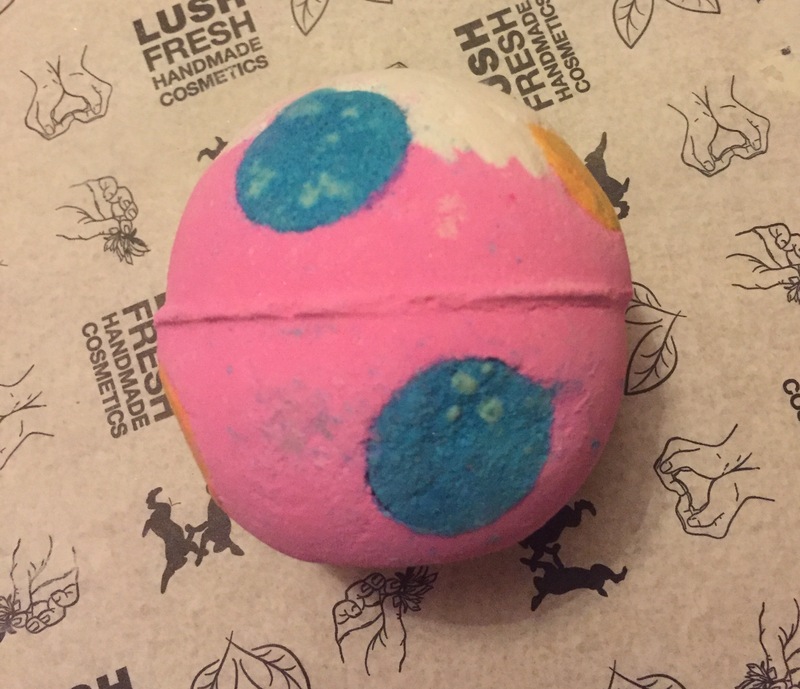 If your anything like me and get as excited as a small child on Christmas Eve, you may want to give this bath bomb a try so you manage to get some sleep so your ready for the day ahead. If you like a bath product that put on a show in your tub. Then this bath bomb is for you. When first popped in the water, it starts to gently fizz and foam across the top of the water. Creating waves of bright pink foam. Once the water hits the polka dots it creates spirals of multi coloured foam creating the most spectacular water. 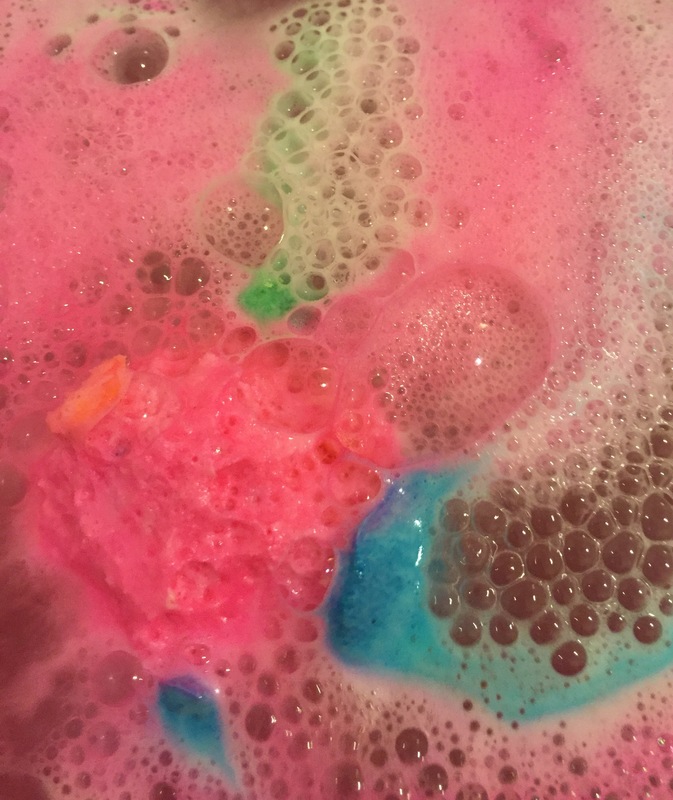 Overal if you love a good Christmas product, amazingly bright colour water and are a fan of the twilight scent then this is the bath bomb for you. Personally I’m not keen on lavander scents but I would get this again mainly due to how amazing the water turns. Ingredients- Sodium Bicarbonate, Citric Acid, Mandarin Oil, Bergamot Oil, Orange Flower Absolute, Cream of Tartar, Sodium Laureth Sulfate, Lauryl Betaine, Limonene, Linalool, Gardenia Extract, Perfume, Colour 19140, Colour 42090, Colour 14700.